Corporate Wellness Program has been a great initiative not only to increase the bottom line of the business but also improving lives of the employees. The worksite organizational culture and environment are powerful influences on behavior and these needs to be put to use as a means of assisting employees to adopt a healthier lifestyle. Register now and learn how to create and implement your corporate wellness program with Free wellness4one online system that will sure make your initiative fly! Try wellness4one.com . Sign up for your FREE account. Book your slot now! Limited to 20 participants only! ARE YOU EATING THE RIGHT SUGAR? 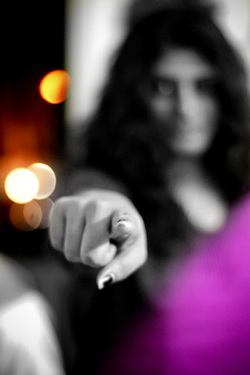 Do you want to learn how to pemanently change your relationship with sugar? Why suffer eating foods you don’t enjoy or buying packaged “diet food” that you really don’t care to eat? The Sugar Blues workshop will be held at ElK’s Lodge, 121 Paseo De Roxas (opposite Greenbelt 1) Top Floor, Corinthian Plaza, Makati City, on August 22, 2011 at 3:00pm-5:00pm. This workshop explores the effects of sugar on the body, causing multiple health conditions including diabetes and obesity, it is imperative to learn about healthy alternatives to improve your health and energy. Participants will gain a greater understanding of why we crave sweets, how sugar decreases our energy and the cycle of sugar addiction. In addition to understanding why we overindulge in sweet foods, participants learn what alternatives exist to the typical refined sugars we find in junk food, candy bars and other unhealthy snacks. Mary Jean Netario Cruz, Board Certified Professional Integrative Health Coach, facilitates this workshop. She is a Graduate of Institute for Integrative Nutrition, New York, USA, works with clients worldwide, coaching clients on how to reach their goals for health, weight loss and stress reduction. She co-creates Integrative Corporate Wellness Programs. Additionally, she presents workshops and lectures on living a healthy and balanced life. Please contact Manila Elk's Club for more information http://www.manilaelks.org. 44 Palm Ave., Foliage Hills Cottonwoods Hts. A family fun-filled day focus on your family wellness through incorporation of arts for kids, healthy cooking, relaxation modalities, sharing this day for a memories that kids and you will remember forever, a jumpstart towards more beautiful memories spent together. Your buffet Healthy Meals to be prepareand by Chef Myra Queroz and Chef Nic Cruz, from Le Cordon Bleu, London and Global Academy Culinary and Hospitality respectively. 10:00am-11:30am - Body Signature by Dr. Marian Alonzo - a set of combined European and Himalayan techniques and healing movements and tweaked by author's medical background designed for us to inhabit our body. Most of us are in our heads or in our emotions and not really in our bodies. The goal is to align head, heart with the entire physical body (if we truly inhabit our bodies, bacteria/virus/parasites, negative emotions don't have space in our system. 2:00-4:00 pm Play and Tell by Dra. Marian Alonzo, Movement and Art Therapy (activities that parents can do with their children bonding time as well as excuse for the parents to tap into healing forces through movement and art) and addressing health concerns of the participants through a lecture. P800.00 per person inclusive of lunch and am/pm snacks. Pay P1,400 per couple (saveP200)and add P180/kid for their meals. Callospa is a private rainforested resort destination spa nestled on top of the mountains of Antipolo, a resort and pilgrimage city in East Manila, 35 minutes away from Ortigas Center. Set in tropical lushness of ferns vines and misting waterfalls, it boast of spa services and facilities of international caliber. GET 20% discount on all Callos Spa Regular Services upon presentation of your LTS4 ticket. Your receipt scanned copy will be emailed to you and original receipt to be given on the event day. Soup of the Day Life and Tea Series is held every 3rd Saturday of the month at the Eugenio Lopez Center, Sumulong Highway, Antipolo City. EL Center is situated at the highest point in Antipolo, a place to breathe the freshest air in Metro Manila. You will find refuge with the serenity of the place. It will rejuvenate your body, mind and spirit. Life and Tea Series is an interactive lectures and workshops, helping participants to unlearn the nutrition myths and relearn their body's need for wellness. Our body when given the opportunity to heal itself can do so. This most important capability of our body has been long taken for granted. Living a healthy lifestyle starts with baby steps but we must keep on stepping to live healthy. Ms. Arlyn dela Cruz talks on the area of the many facets of life, survival on top them. Mary Jean Netario Cruz talks about Integrative Wellness. Precedence is given to those on my wait list to get into the Life and Tea Series sessions. Contact us to Register. Salad preparation is the main goal of LTS2. Women power is the solid force behind the advocacy of creating salad for a cause. Mina is the founding chairman and Gugu, Marivic and Sarah are members of PAKAI a non-profit organization doing feeding program for the malnourished children in Payatas and helping the Cotelengo House of the Abandoned Children based in Montalban now Rodriguez, Rizal. Mina has been shouldering the major expenses for the charitable works and business is not doing well that we are trying to find ways to defray the feeding expenses. The salad project is one of the idea hoping to generate much sales so that portion of the sales can be allocated to the feeding project. Each of us made our creations. Mine fell into the novelty line since my creations are Mind Booster Salad, Immune System Booster Salad, Tranquility Salad and Sensuality Salad. My salad line is powered with herbs. Gugu is a Hospitality Professor and in the Hospitality Consultancy serving local and International clients. Marivic is a wellness guru and Sarah is a businesswoman. Mina is in the vegetable business. Mina and I have been envisioning the day where organic harvest and conventional produce are at par when it comes to pricing. Both of us believe that only then that we can help create justice to the human body. The salad will be made available at SM in a month or two. After the brainstorming, marketing, preparation, tasting and coming up with the verdict, we had our two hours relaxing traditional hilot. Massage is one of the modalities that helps in restoring our balance. It also helps our blood circulation and a stress removal therapy. In between are sessions on integrative wellness. The need for a fast track wellness session for highly busy executives has been designed. 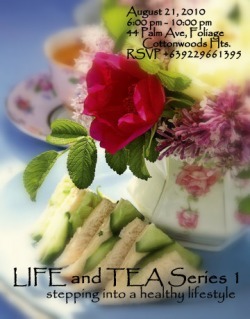 This LIfe and Tea Series 2 is fun filled session that can strengthen the bond of friendship, worthy cause and business. If you have a circle of friends and you would like to have an intimate session on your wellness, we design a customized program per your need and theme. You may contact us for your need at integrativewellness@yahoo.com or contact us through the contact page. A tea party to tap your consciousness on the impact of food on health, both preventively and therapeutically. A night that will give new insights about food that we know as simply secondary and the concept of what our primary food is. This TEA PARTY in PAJAMAS is exclusive for the women of cottonwoods and my friends and colleagues. Participants can enter the Zone by simply flashing their healthy food to share! Arlyn dela Cruz, will grace our tea party to speak in the area of the many facets of life, survival on top them. She has recently launched her book "a Lifetime of Freedom". Hear from the source, the true story that captured the news headlines here and abroad. Lani Gomez, an HR Specialist will talk about career and relationship. Mary Jean Netario Cruz, a Certified Integrative Health Coach will talk about Sugar Blues and the paths to healthy living.